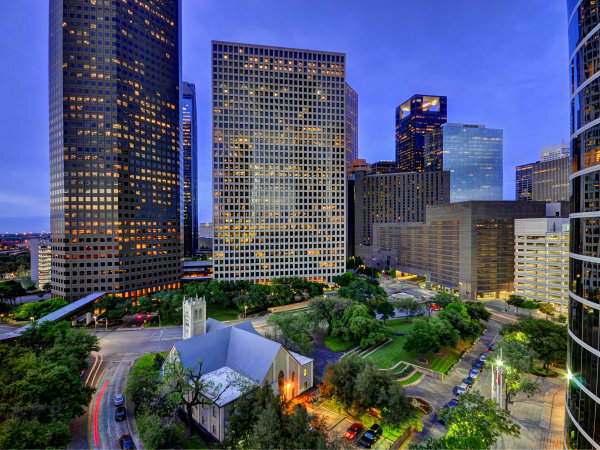 Harold Farb was the most famous apartment developer in Houston — and one of the most successful. At one time, Farb’s empire included 30,000 apartment units. Harold was also one of the stars of Houston’s social scene. He dated Hollywood actresses and was an accomplished singer who cut several records. But underneath all of the fun and fluff, no one doubted that Harold Farb had a genius when it came to the apartment business. Farb is gone now. He died in 2006 at the age of 83. But his grandson, Jonathan Farb, is making his mark in the family business in his own right. 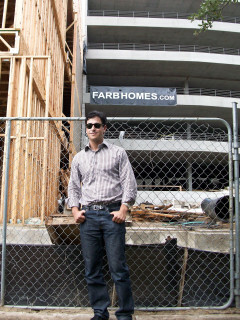 After being mentored by the best, Jonathan is tackling his first large scale apartment project. It’s a 185-unit multi-family project under construction in Midtown, just south of downtown, near the corner of McGowen and Bagby. Jonathan, 37, a graduate of Bellaire High School and the University of Texas, went to work for his grandfather after picking up his business degree in Austin. But the mentoring really began long before high school. As a boy, Jonathan would be taken to apartment construction sites, where he learned by osmosis. “I’ve been exposed to the apartment business my entire life, since I was a little kid,” Jonathan says. “I guess you could say it is in my DNA." In the late 1990s, Jonathan went out on his own and started developing townhomes along Washington Avenue, upper Montrose and the Rice Military area. 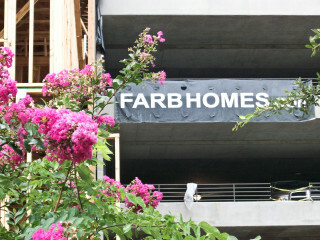 Farb Homes, where his father, James oversees construction management, has developed 175 townhomes. For his first major apartment project, Jonathan secured Wallace Garcia Architects and Davis Brothers General Contractors – two of the top-rung names in the apartment business. The project, called City Place, will open in November with rents ranging from $1,100 to $2,100 a month, says Jonathan, president of Farb Apartment Homes. Jonathan is dusting off a familiar Houston icon from the family heirlooms. It’s the familiar logo that had been used by his grandfather’s firm, Harold Farb Investments. The logo depicts the silhouette of a suited businessman holding a rolled up set of architectural plans. It was on the signs outside all of Harold’s apartment complexes — a well-known symbol to Houston apartment dwellers. Years ago, Harold Farb joked with me that the rolled up plans in the logo were actually a bludgeon that he could use to bonk somebody. Harold was a soft-spoken man, although he was outgoing, and definitely not prone to violence, so it made for a good joke. “This is just one way I’m paying homage to my grandfather. The ‘Man with a Plan’ logo was an icon in Houston and I’m excited to bring it back,” Jonathan says. City Place will also be loaded on amenities, such as an on-site kiosk delivering organic, healthy meals; a dog-walking service and complimentary Starbucks coffee. 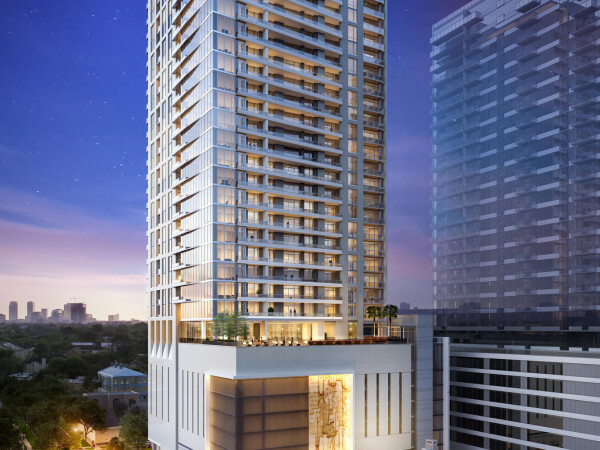 The project will also have a salt-water swimming pool with landscaping designed by D-Crain, which designed the landscape for the San Jose Hotel in Austin. A new study by UMoveFree apartment finding service shows what are the hot buttons among today’s renters. The most popular amenity among Houston renters is a dishwasher. 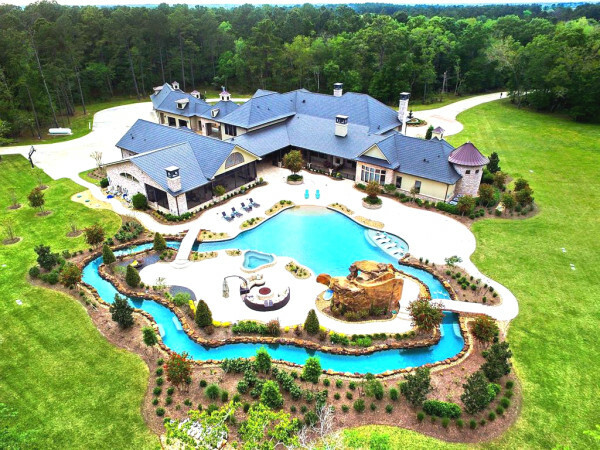 Access gates are the second most popular amenity followed by microwaves, pools and walk-in closets. Making apartments good places to live is all part of the keeping the units rented and the customers happy. Harold Farb understood that lesson well and it looks like his grandson is catching on, too.